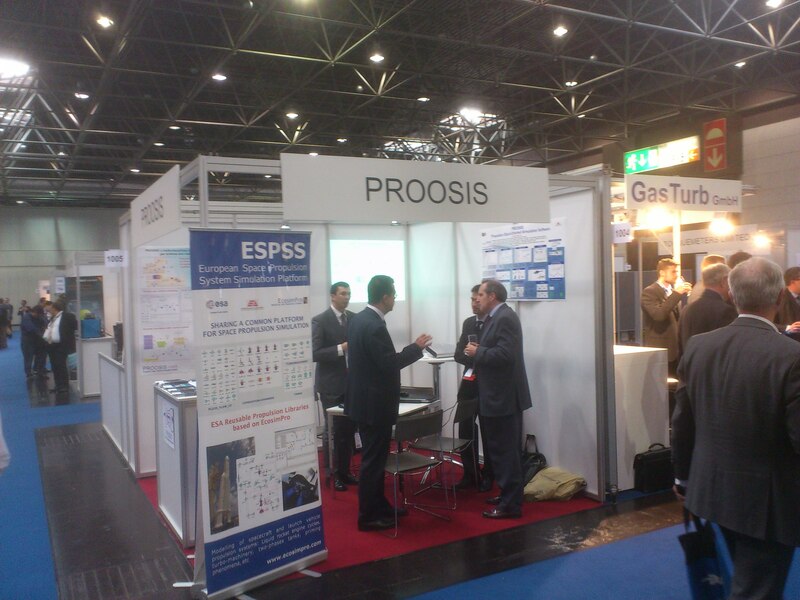 EA went on the road to the ASME TURBO EXPO fair in Germany last June to present the latest version of their product PROOSIS for modelling and simulating aeronautical gas turbines. PROOSIS is currently one of the most advanced software packages in the world for modeling 0D and 1D aeronautical engines; indeed, it is used by important companies such as Airbus, Snecma, Turbomeca, etc. PROOSIS is a mathematical simulation and modeling tool that offers flexible and reliable solutions to simulating gas turbines and other aeronautical components (cockpit environmental control system, electrical system, fuel system, etc.). It is a multi-disciplinary tool for working in groups among the different companies involved in the design and development of a new motor. This latest version includes new capabilities such as utilities for designing and optimizing new engine configurations, new algorithms to solve systems of equations in real time and exporting models to hardware cards such as black box, etc. Many papers were presented at the fair and are available for viewing on our website. PROOSIS was demonstrated to engineers of renowned companies of the sector such as General Electric, Pratt-Whitney, Rolls-Royce, Boeing, Airbus, etc., who were able to see for themselves how the product can help design new motors and shorten their development times. PROOSIS is currently being used to model new open-rotor engines, which the European aeronautics industry is currently designing and testing. PROOSIS is also being used to model the Vinci and Vulcain space engines.